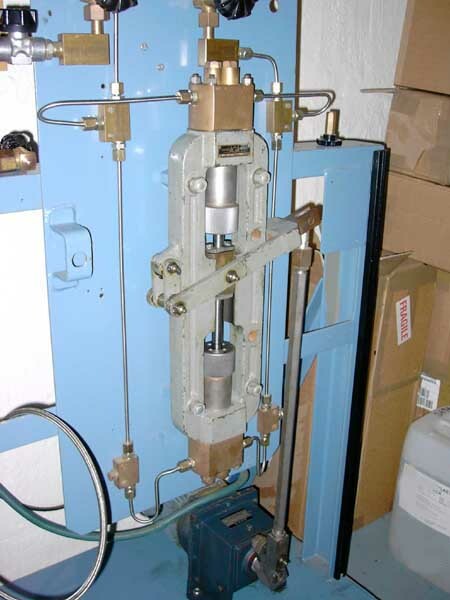 The AGA high pressure gas booster, article no 122.399.003 is a double acting piston design resembling the Draeger booster U200. 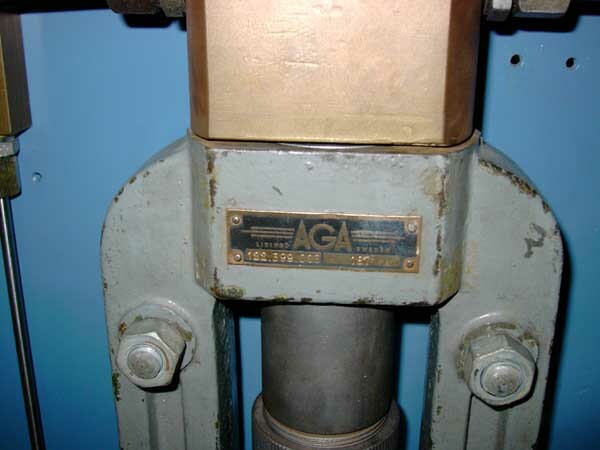 My intention is to add more information to the AGA booster page later. 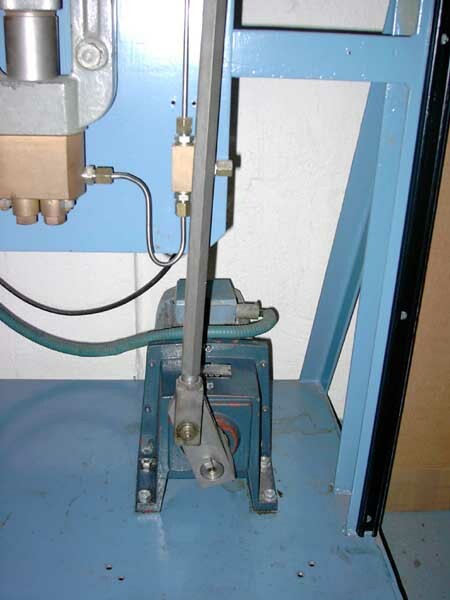 The booster is mounted vertically on a very stable welded frame ( not original...). 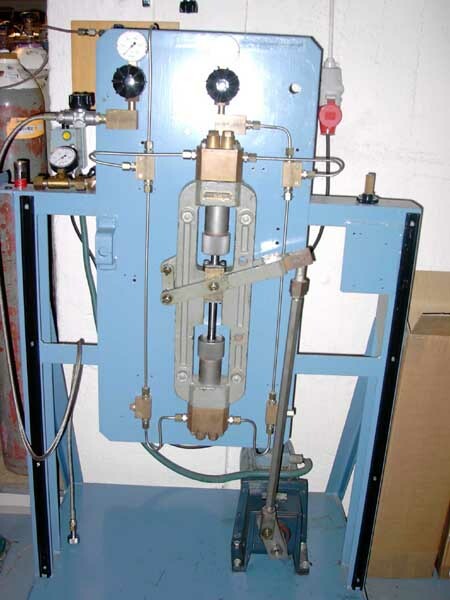 The electric motor and drive piston rod is seen low in the picture. Gas intake through the steel braided hose to the left. Gas outlet goes to the gas mixing panel shown on the www.divex.se. The power source, an (about) 1.5 kW electric motor and gear box.